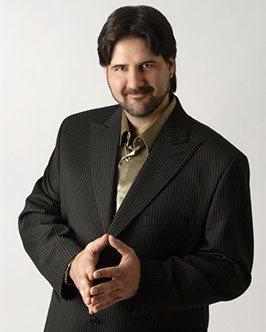 JayDee’s stage hypnosis show has been the highlight of hundreds of corporate and community events across Canada and throughout the US, including headlining at the prestigious Riviera Hotel in Las Vegas. JayDee is a certified hypnotherapist and extensively trained in stage hypnosis, with over 250 hours of hypnosis training. His 10 years of experience as a stage hypnotist and another 5 as an improv and stand-up comic ensures that your guests laugh harder than they’ve ever laughed before. 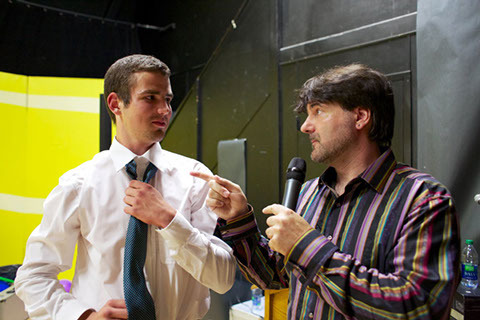 Performs only one type of stage hypnosis show: clean, classy, funny. JayDee does not perform “adult rated” shows. Has performed all across North America, including headlining in Las Vegas. Is respectful to his volunteers and to the audience, and he avoids political, sexual, religious themes. Fully insured for 2 million dollars liability coverage, his show is safe and clean for all ages. 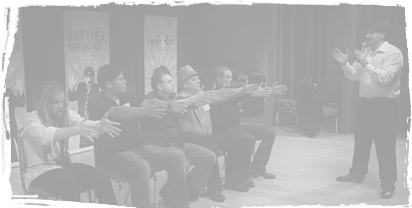 Gets started quickly, volunteers are hypnotized and performing within a maximum of 20 minutes from stepping onstage. 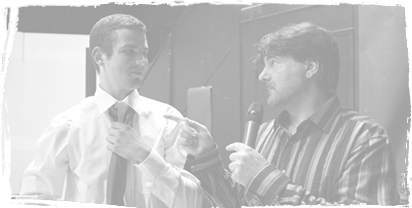 Certified hypnotherapist, with extensive stand-up and improv comedy experience to ensure your event is filled with laughter. JayDee’s sound system is included in the fee. 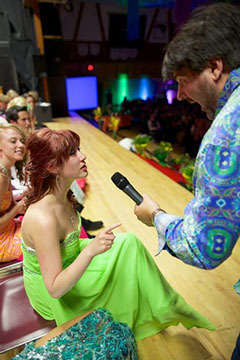 Organizations all across North America have found JayDee’s hypnosis show to go over wonderfully for Staff Parties, Festivals, Public Events, Conferences, and other Community Events. JayDee only performs one type of stage hypnosis show: clean, classy, and funny. A truly interactive experience for the audience where the volunteers are the stars of the show. JayDee’s hypnosis show is a truly interactive experience for your guests, so much more fun than other types of entertainment where they simply sit and watch. The volunteers are the stars of the show, inducing side-splitting laughter for their friends & co-workers in the audience and creating memories that will last a lifetime. 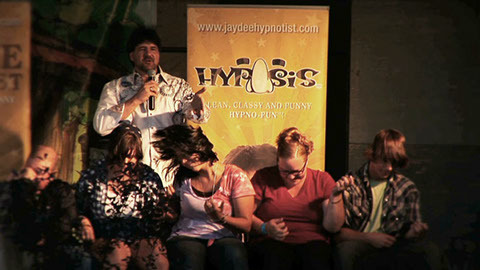 JayDee only performs one type of stage hypnosis show: clean, classy, and funny. If you want an adult rated show, please find another hypnotist. It is JayDee’s belief that hypnotists are entitled to perform whatever kind of show they wish, but that no-one in the audience should be fooled & volunteer for a show they think is clean but is not. JayDee is completely respectful to his volunteers & audience. He never forces anyone onstage, and he avoids hot-button topics such as political, sexual, & religious themes. 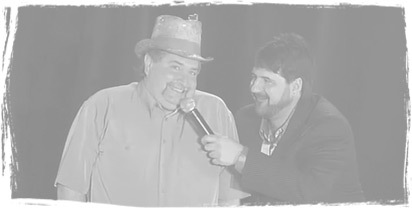 He keeps the show classy – of course the volunteers do perform hilarious antics that everyone in the audience will enjoy, but since they are all co-workers and neighbors the show never crosses the line into inappropriateness. JayDee’s standard fee is $3500+GST for Christmas weekends and $2500+GST for other times. JayDee finds that a 60-90 minute show works well for most events, if you feel you need a longer show please call us to discuss this. Contact Us to discuss booking JayDee for your event. "We found him to be professional, reliable and absolutely hilarious — he made everyone laugh with good, clean stories and humor. The hypnosis show was incredibly enjoyable and we liked the fact that he was also a great DJ. This saved us money and time, and kept people at the venue longer. 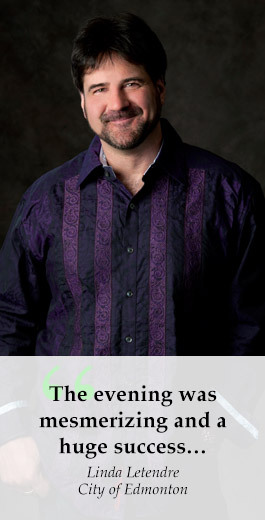 JayDee was an outstanding entertainer and we would gladly hire him again." "It was an absolute hit and I have heard nothing but positive reviews!!" "His ability to deliver ad-lib comedy was remarkable and ingenious. The evening was mesmerizing and a huge success thanks to the talented and gifted JayDee." "JayDee was absolutely fabulous! He had 200 people laughing uncontrollably for 2 hours. We loved him!" "He did a great job of making people laugh, respected the participants on stage and spent time after the show mingling with the crowd. His show was high energy and the music was great. I would definitely recommend him to anyone who was looking for clean entertainment and a lot of laughs!" "JayDee put on a great hypnosis show. The ladies really enjoyed the entertainment, it was funny, clean and appropriate for our event. JayDee was very easy to work with and every step from the booking to the set up went smoothly. Thank You."